Fope Flex'It Prima 18ct White Gold 0.31ct Diamond Rondelle Ring. AN744 PAVE. This Fope stretch ring comes from the Prima collection featuring the world renowned Fope Flex'It design, which means the ring is flexible. The ring features a finely crafted woven 18ct white gold band and three gold rondelles which are embellished with 0.31cts of stunning brilliant cut diamonds for added luxury and sparkle. Size Medium. Fope jewellery looks stunning when layered with other pieces from the collection. Mix Yellow, White and Rose Gold pieces for that on trend look. 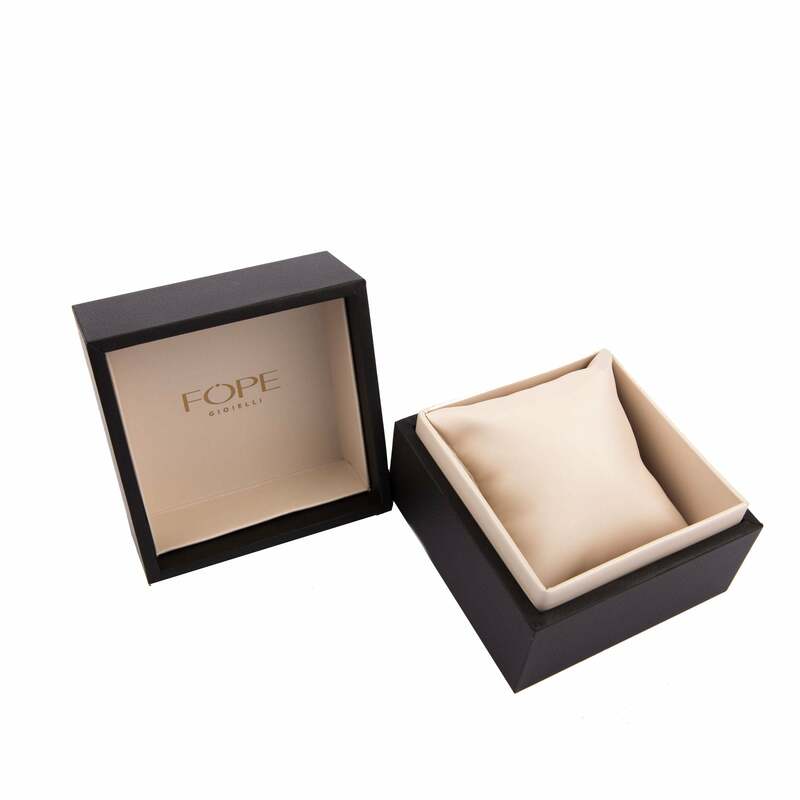 Y ou can also find matching items within the Fope collections on our website.